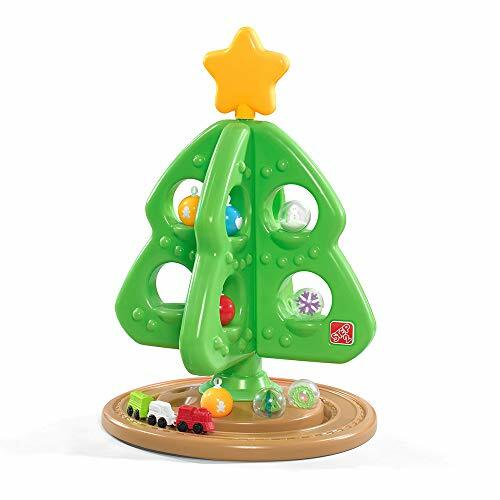 Children can enjoy all the magic of the Christmas experience with the My first Christmas tree by Step2. Little ones will light up with joy as they get to pick and choose the ornaments for their very own Christmas tree. Once all of the ornaments are in place, kiddos can reach up high and put the Star on the top. With the Star in place, little holiday fans can start their miniature train set and put of the cookies for Santa! made in USA of us and imported parts. Adult assembly required.